Shy Boys: Consider Shy Boys - DIY local champions of Kansas City, MO, who if you add it all up, are something sacred. 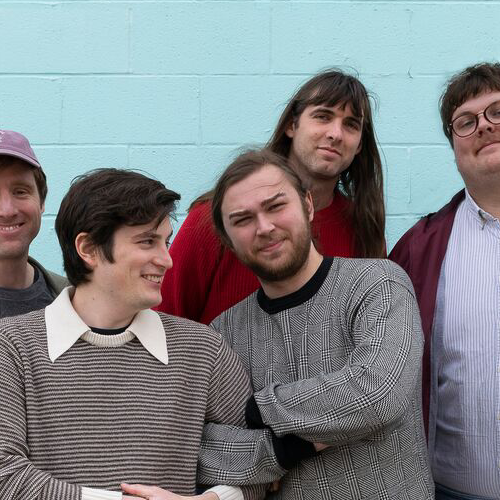 Comprised of brothers Collin and Kyle Rausch and best friends Konnor Ervin, Kyle Little and Ross Brown, Shy Boys are the heartland’s answer to The Beach Boys had Alex Chilton been on guitar. But if a harmony falls into a microphone in the middle of America does anyone really hear it? Some do. Take for instance Shy Boys’ 2014 self-titled debut on local Kansas City label, High Dive Records - I first came across this album while living in Los Angeles and catching wind of a band from my home town that I was told could “actually sing,” and after the first spin, through the muddy fidelity, man, could they actually sing. Shy Boys’ history isn’t too dissimilar from any other Midwestern band. Like the many Replacements or Husker Düs before them - they exist neither here nor there, but instead, somewhere anonymously in the middle. And though you may not find the same opportunity floating in the middle as one would Here or There, you are allotted a certain amount of time and space to grow both yourself and your craft into what you want it to be. Over the past four years, that is exactly what Shy Boys have done and that is what brings us here today.